Faculty and staff members are invited to nominate outstanding students for university awards. Students can also nominate other students, as well as self-nominate. 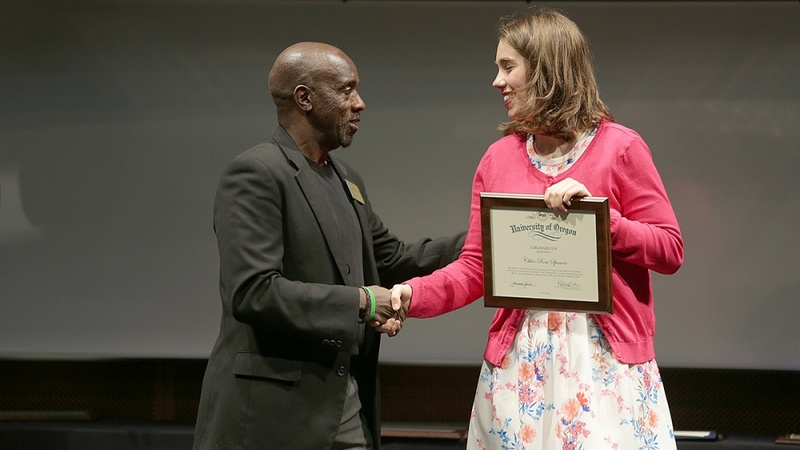 The awards honor student leaders across campus who, in addition to being outstanding academically, serve the campus in leadership and service positions. Nominations can be submitted using the online nomination form. Deadline for nominations is 5 p.m. Feb. 20. These awards are highly competitive. Those chosen for the major university awards are generally students who lead or coordinate initiatives, activities and programs that benefit the campus and/or Eugene community. Nominated students will then be asked to complete and submit an application, due by end of day Feb. 25. For a complete list of award descriptions, visit the Division of Student Life website.